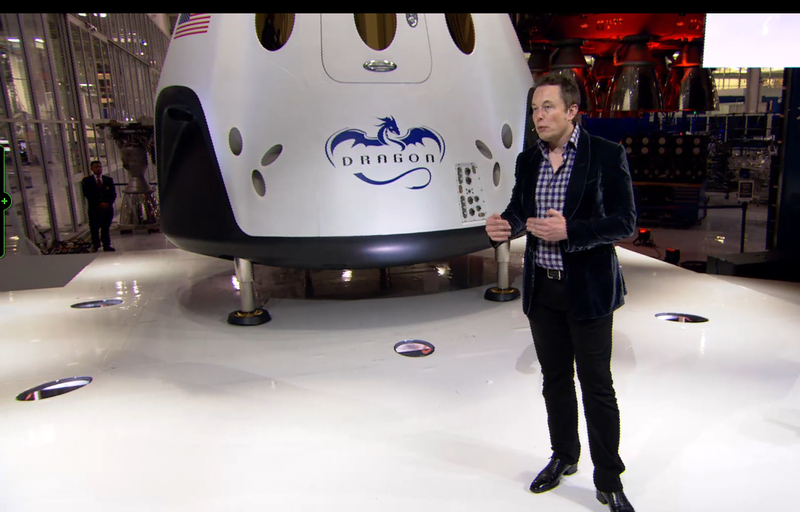 SpaceX founder Elon Musk took the wraps off its next-generation spacecraft today, called Dragon V2. The key improvements are that Dragon V2 will be able to land “anywhere on Earth” with its propulsion system and the accuracy of a helicopter. It will also be capable of carrying seven astronauts for several days. 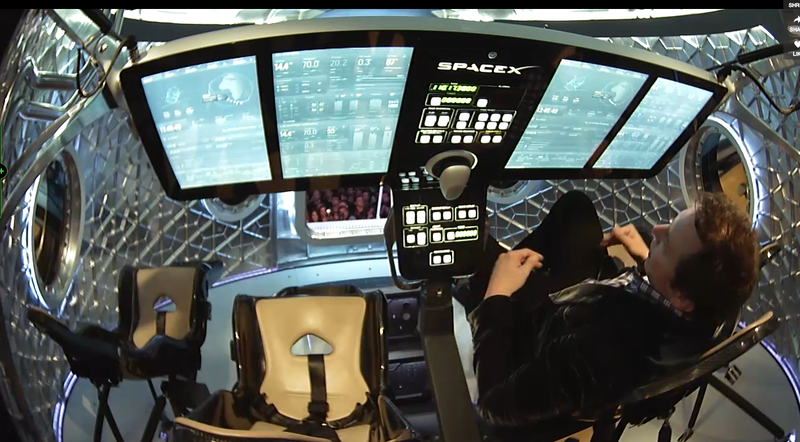 Musk said Dragon V2 is capable of docking autonomously, and that it can land either via the propulsion system, or in the case that any engines aren’t working — deploy parachutes for a safe landing. Even after starting the propulsion system, it can afford to lose two engines and land safely — primarily because of upgraded powerful engines known as “Super Draco” thrusters. Apart from the convenience of a landing location, Musk notes that this is important because it enables rapid reusability of the spacecraft. 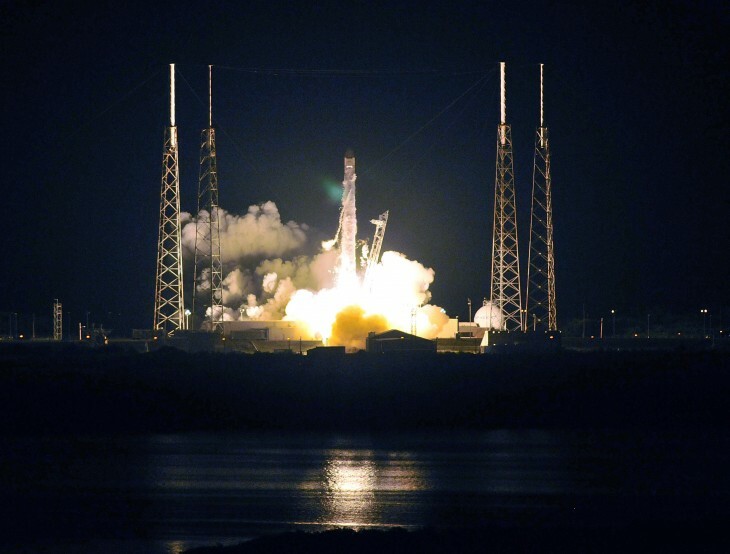 “You can just reload propellants and fly again — this is extremely important for revolutionizing access to space. Because as long as we continue to throw away rockets and spacecraft, we will never have true access to space. It will always be incredibly expensive. You can imagine a scenario with aircraft — if aircraft were thrown away with each flight, nobody would be able to fly, or very few,” he said. The Verge reports that Musk said that he hopes Dragon V2 will be ready to transport astronauts between the International Space Station (ISS) and the surface of the Earth by 2017 or 2018. Musk previously said that moving a family to Mars could cost $500,000 by 2029, and reusable rockets represent a key part of his plans. SpaceX is claimed to have been cash positive for six years. The company has customer contracts worth an estimated $4 billion which extend into 2017, including satellite launches and delivering cargo to the ISS.